Historical archaeologists investigate material culture supported by written documents and other historical evidence. In the Americas this coincides with periods of European and Native American contact and subsequent colonization, urbanization, industrialization, and globalization. Written, oral, and archaeological data provide different types of information, and historical archaeologists work to weave these together—filling gaps, exploring nuances, and providing a better understanding of past lifeways and historical developments. Working to connect the past and the present, historical archaeologists uncover and explore the material traces of life in the emerging modern world. Far Western historical archaeologists employ a wide range of archaeological and historical research methods to identify, evaluate, and treat historic-period sites, structures, features, and artifacts. 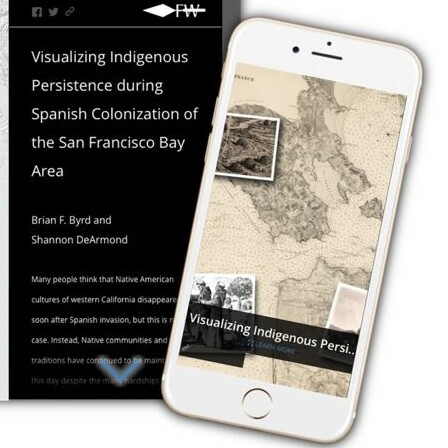 Archaeological methods relevant to historic-period sites and material culture are complemented with historical research, including the analysis and synthesis of historic-period maps, documents, oral histories, and folklore, to construct narratives of how people are connected to both places and the past. To meet the goals of cultural resources management and historic preservation compliance, Far Western historical archaeologists assess historic-period site sensitivity to identify archaeological deposits for avoidance or recovery at all project phases. Sunnydale Sewer System Improvement Project: Archaeological monitoring and identification of two late nineteenth century schooners. Gray’s Crossing: Exploration of Overseas Chinese labor at a nineteenth-century charcoal production complex near Truckee, California. Boca Dam: Archaeological excavations at an early ice works operation and Civilian Conservation Corp camp in Nevada County, California. Copper Mining: Cultural resources inventory in western Nevada exploring twentieth-century copper mining features. Rawhide Mining District: Cultural resources inventory at gold and silver mining sites in western Nevada. Gold Butte: Cultural resources inventory in Clark County, Nevada that includes mines, Civilian Conservation Corp check dams, and various historic-period roads and features.